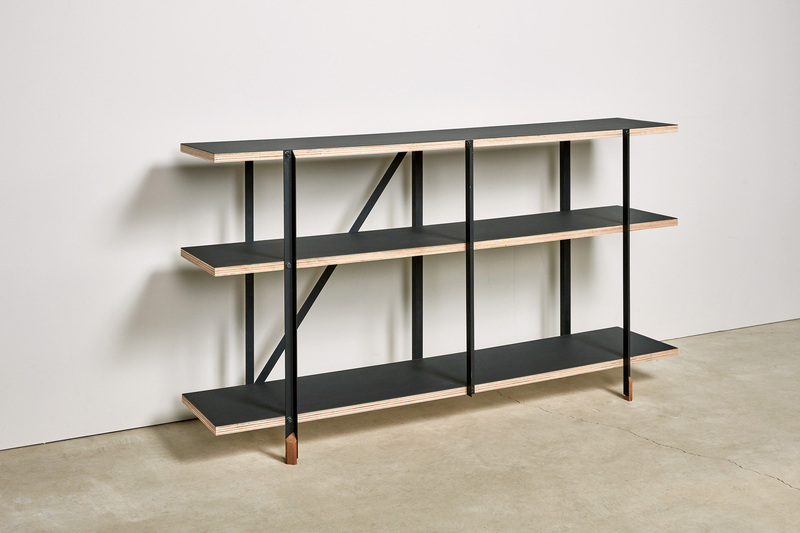 The KOBO ST­-SHELF is a shelf made out of plywood and L­shaped steel extrusions. No matter how you look at it, the most unique characteristic of this shelf lies in its simple structure. 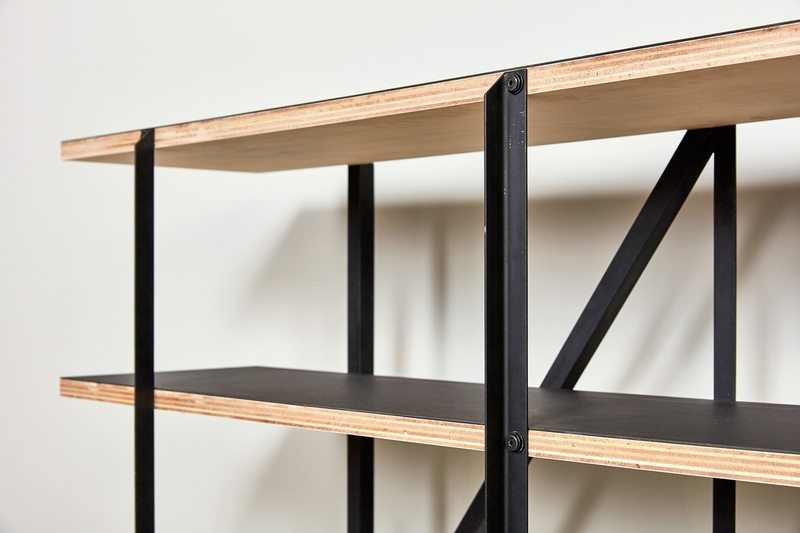 While the shelf’s lean construction gives it a light and airy impression, it also is surprisingly strong. 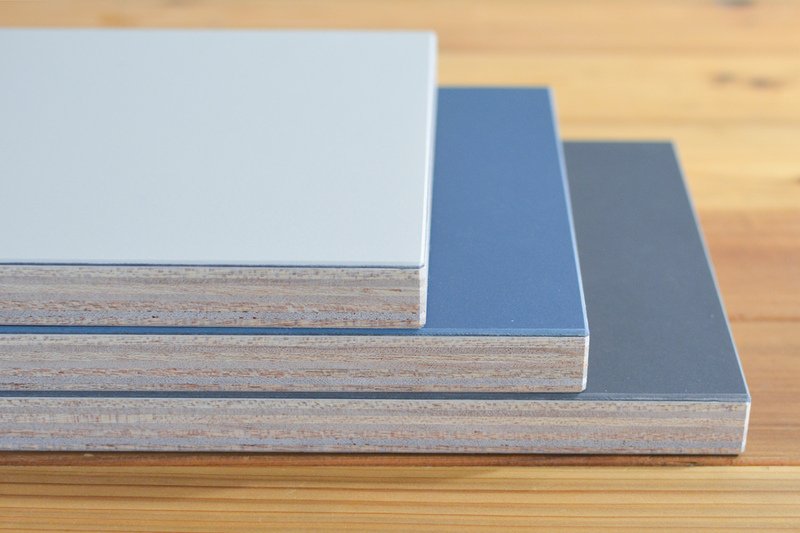 The plywood shelves are finished with linoleum, a material that is not only sustainable but also has a characteristic soft texture – leading to a gentle welcome for books or other objects you choose to place on the shelf. 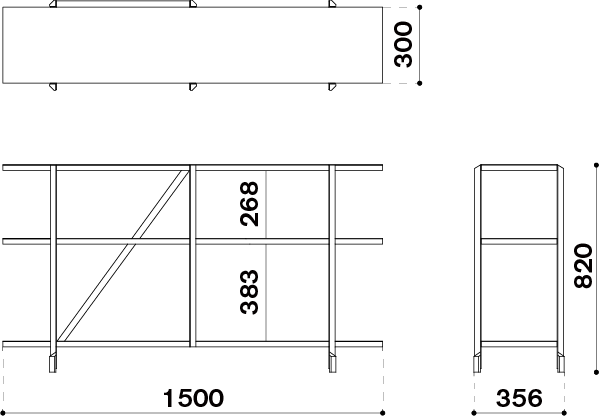 The detailing of the steel legs is shared by the KOBO ST­-DESK and theKOBO ST­-TABLE. When used together as a set, one can feel the space being imbued with a sense of unity.